Tickets on sale for the Live 8 concert in Edinburgh on 6 July have been removed from online auction site eBay. A pair of tickets for the free gig was being offered for £250 before the listing was taken down by eBay. The site banned Live 8 ticket sales earlier this month after event organiser Bob Geldof branded the practice "sick profiteering". The show will be broadcast on MTV and VH1 after America Online set up a deal for eight hours' footage live on US TV. It is also being shown on BBC TV between 1300 BST on 2 July and 0300 BST on 3 July. AOL, which has exclusive rights to broadcast the event on the internet, also licensed it to North American TV and radio stations. Premier Radio Networks and XM Satellite Radio Holdings also obtained licences to broadcast the 2 July concerts. AOL will screen the five main concerts on the internet and make them available for download for six weeks after the event. Organisers of the Scottish gig have extended the deadline for people to claim tickets won through a text competition after winners reported problems claiming them. Organisers said "a small minority" of people had been left frustrated by the process but denied claims that they had given out the wrong "pass codes" for people to access its website. They said that codes were case sensitive and people had been entering the wrong codes and finding themselves unable to claim the tickets. The deadline has now been extended to midday on Saturday, instead of midnight Thursday. On Thursday eBay said Live 8 ticket bids were being removed as soon as they were noticed onsite, a policy it applied to all Live 8 gigs. "We believe people do have the right to buy and sell items as they choose," an eBay spokesman said. "We made an exception to our policy on the occasion of this unique, charitable concert." The company has also asked members of the public not to sell any Live 8 tickets on the site. 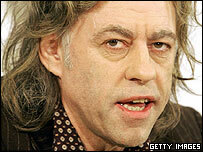 Geldof has said he hopes the shows will raise public awareness on the ongoing problem of global poverty and debt. However a UK poll conducted by Sky News has suggested most Britons do not believe the event will help eradicate poverty in Africa. Only 16% of the 2,021 quizzed thought the simultaneous concerts in cities including London, Paris, Philadelphia, Berlin and Rome would make a difference. They thought that African governments and foreign investment would have the greatest impact on easing poverty on the continent. Only 6% thought that protests called for by Geldof near the venue for the G8 summit meeting would help raise awareness of African issues. Ten global Live 8 concerts are taking place in cities including London, Philadelphia and Johannesburg in a bid to highlight world poverty, ahead of the G8 summit in Scotland. 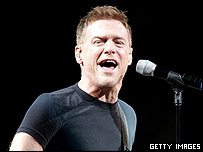 Artists confirmed for the concert line-ups include U2, Madonna, Destiny's Child, Bon Jovi and Bryan Adams.